Austin City Limits announces the second half of Season 44, with eight all-new installments to begin airing December 15 as part of the program’s fourteen-episode season. 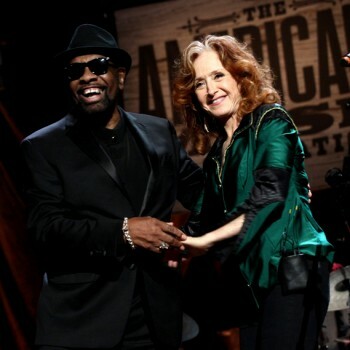 The stellar slate of broadcast episodes features highly-anticipated debuts from today’s most talked-about live acts, and the return of ACL stalwarts, continuing Austin City Limits’ run as the longest-running music television show in history, providing viewers a front-row seat to the best in live performance for over 40 years. The season returns with many acts making first-time appearances on the ACL stage including UK modern rock icons (and 2019 Grammy nominees) Arctic Monkeys, rising R&B star Khalid and Canadian indie rocker Mac DeMarco splitting a bill, and trailblazing Puerto Rican rapper Residente in a thrilling rapid-fire hour. 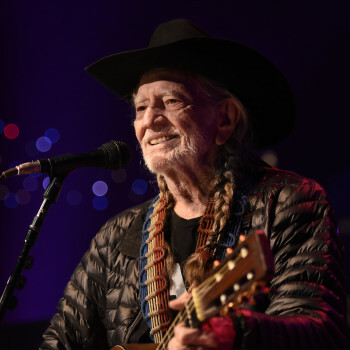 A series highlight features the return of American icon Willie Nelson, who helped launched ACL in 1974, in a new performance for the ages, marking a remarkable eighteenth appearance on the series and his first headlining set in a decade. Also returning is New Orleans sensation Troy “Trombone Shorty” Andrews who celebrates his second ACL with a N’awlins-style hourlong party featuring his 10-piece Orleans Avenue band along with special guest, ACL Hall of Fame legend Cyril Neville. Blues giant Buddy Guy, another 2019 Grammy nominee, returns for his third headlining appearance, sharing an episode with the all-star collective known as August Greene, featuring hip-hop’s Common and renowned producers/jazz music phenoms Robert Glasper and Karriem Riggins. Austin favorites Wild Child round out the season in a spirited debut from this seven-piece indie-folk outfit. ACL’s Season 44 premiered in October with standout performances from St. Vincent, John Prine, Brandi Carlile, Kacey Musgraves, Miguel, Anderson East, Alessia Cara, Sam Smith and Lukas Nelson & Promise of the Real. The award-winning series will continue to broadcast fan-favorite encore episodes through the end of 2018. In what has become an ACL holiday tradition, the program will encore Tom Waits legendary December 1978 performance, one of the most requested episodes in ACL’s 40+ year archive. Tune-in on December 22nd to see this classic Christmas episode. A recent classic, Iggy Pop’s iconic 2016, Season 42 debut on the ACL stage, backed by an all-star band including Queens of the Stone Age’s Josh Homme, encores December 29th. 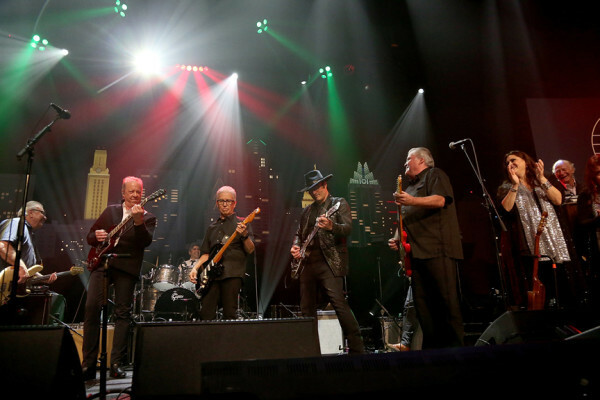 A special broadcast of Austin City Limits Hall of Fame New Year’s Eve airs Monday, December 31 at 10pm CT/11pm ET. Austin City Limits rings in the new year with this star-studded celebration, hosted by Chris Isaak, featuring one-of-a-kind performances and collaborations from the 2018 ACL Hall of Fame induction ceremony, taped October 25, 2018. Performers include ACL royalty Los Lobos, Marcia Ball, Norah Jones, Gary Clark Jr., Irma Thomas, Robert Randolph, Filmmaker Robert Rodriguez, Ruthie Foster, Boz Scaggs & more. 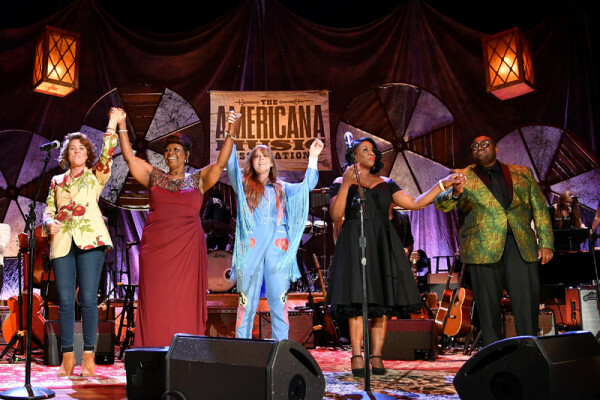 For the eighth consecutive year, the producers of Austin City Limits, in conjunction with Two Talented Cats, LLC, and the Americana Music Association, are proud to present a special ACL Presents on February 9th to close out Season 44—featuring the best music performances from the 17th Annual Americana Music Association Honors and Awards Ceremony held September 12, 2018 at the historic Ryman Auditorium in Nashville, TN. Austin City Limits continues to offer its popular live streams of select performances for fans worldwide on ACL’s YouTube Channel. Viewers can visit acltv.com for news regarding live streams, future tapings and episode schedules. Austin City Limits heads to Nashville for a special broadcast featuring performance highlights from this year’s Americana Honors & Awards. ACL Presents: Americana Music Festival 2015 delivers sparkling performances that represent the genre’s diversity and excellence. 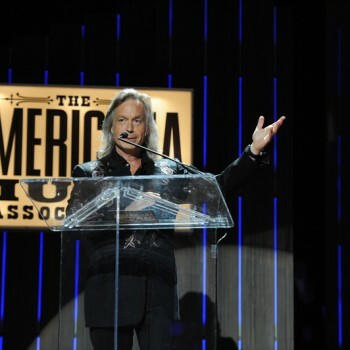 The music-filled special features many of the night’s Lifetime Achievement Honorees, award-winners, next-generation stars and icons who helped define the genre; among them: Don Henley, Los Lobos, Ricky Skaggs, Lee Ann Womack, Shakey Graves, Keb’ Mo’, Jason Isbell, Rhiannon Giddens, Robert Randolph and John Hiatt. 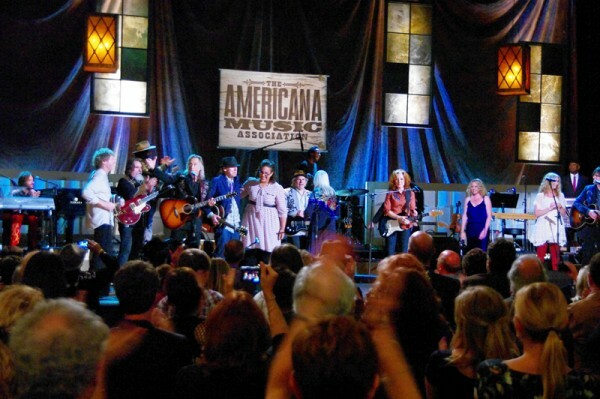 “The Americana Honors & Awards showcases one of the biggest and brightest lineups of talent seen all year,” raves NPR. 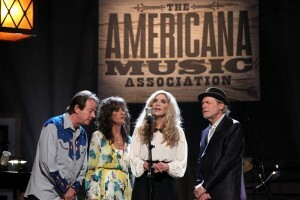 Recorded live at Nashville’s historic Ryman Auditorium in September, The Americana Music Association’s 14th Annual Honors & Awards ceremony is a best in show reflecting the spirit of Americana: American roots music that incorporates elements of country, rock ‘n’ roll, folk, bluegrass, R&B and blues. Hosted by Americana kingpin Jim Lauderdale, the show opens with steel guitar sensation Robert Randolph joining with two legendary gospel groups, The Fairfield Four and the McCrary Sisters, for a rousing rendition of “Rock My Soul.” Highlights include show-stopping performances by the night’s Artist of the Year nominees: Rhiannon Giddens showcases her powerful vocals in a stunning performance of “Waterboy” from her Album of the Year-nominated Tomorrow Is My Turn. Acclaimed singer-songwriter Jason Isbell, who captured top honors at last year’s awards, offers the anthemic title track of his new album, Something More Than Free. Country queen Lee Ann Womack performs from her critically-acclaimed The Way I’m Livin’, also nominated for Album of the Year. 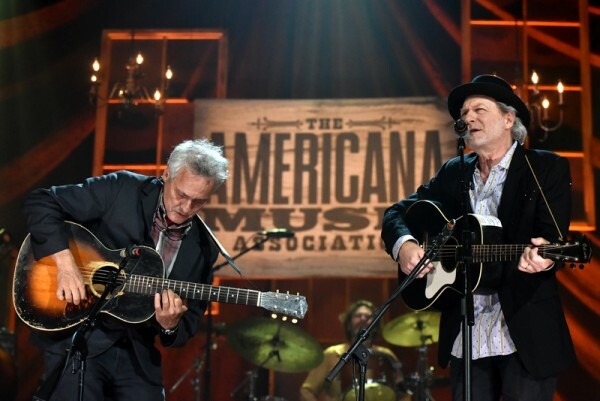 Throughout the broadcast, performers are backed by an all-star house band—led by Buddy Miller—and featuring legendary musicians: Dominic Davis, Chad Cromwell, Fats Kaplin, Ian Fitchuk, the McCrary Sisters and Little Feat founding member Bill Payne. Austin City Limits is taking a break from our fabulous season of new episodes, but never fear – that doesn’t mean new music isn’t up next. As we’ve been the past two years, we’re proud to present an ACL Presents special: Americana Music Festival 2013. 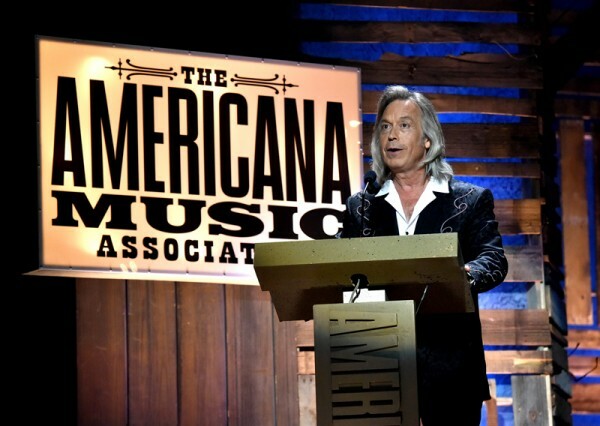 Recorded at the Awards & Honors presentation in Nashville at the historic Ryman Auditorium, AMF 2013 gives us great performances by both veterans and newcomers across the spectrum of the music we know and love as Americana. From Dr. John walking through gilded splinters accompanied by the Black Keys’ Dan Auerbach, pioneering guitarist Duane Eddy proving himself still a “Rebel-Rouser” and Stephen Stills revisiting his classic composition “For What It’s Worth” to young songwriter John Fullbright ripping through “Jericho”, host Jim Lauderdale and bandleader Buddy Miller showing off their distinctive chemistry and Hank Williams’ daughter Holly reviving her father’s signature hit “I’m So Lonesome I Could Cry,” the special presents highlight after highlight. All this plus Shovels & Rope, Emmylou Harris & Rodney Crowell, The Milk Carton Kids, Kelly Willis & Bruce Robison, Old Crow Medicine Show and, during the finale, some surprise guests. It’s a feast of Americana. Check out the episode page for a songlist and more details. Click over to our Facebook and Twitter pages or our newsletter for the latest ACL skinny. Next week: an encore episode featuring Bob Mould and Delta Spirit. 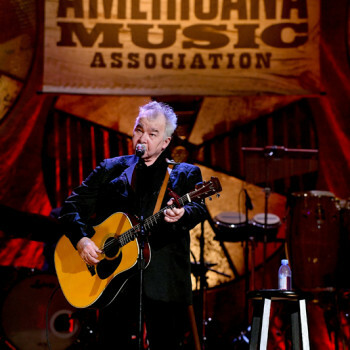 This weekend we’re taking a break from our Season 38 episodes for ACL Presents: Americana Music Festival 2012. 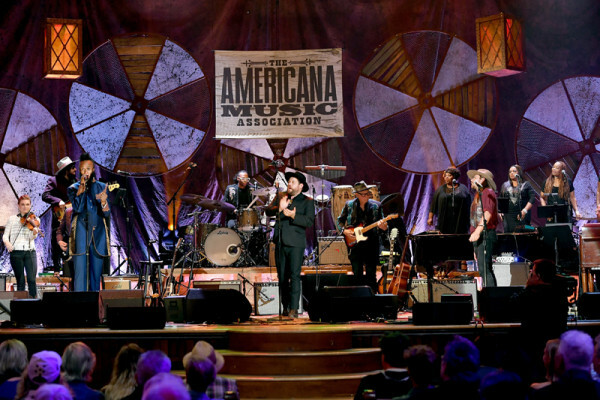 The eleventh annual Americana Music Festival took place earlier this fall in Nashville, TN, in the historic Ryman Auditorium, with some fantastic performances from legendary artists who helped define the genre, plus some newcomers who are keeping the tradition true. Featured artists include Booker T. Jones, Alabama Shakes, Hayes Carll with Cary Ann Hearst, Guy Clark, Lee Ann Womack, Jason Isbell and the 400 Unit, The Mavericks, Richard Thompson, Carolina Chocolate Drops and many more! 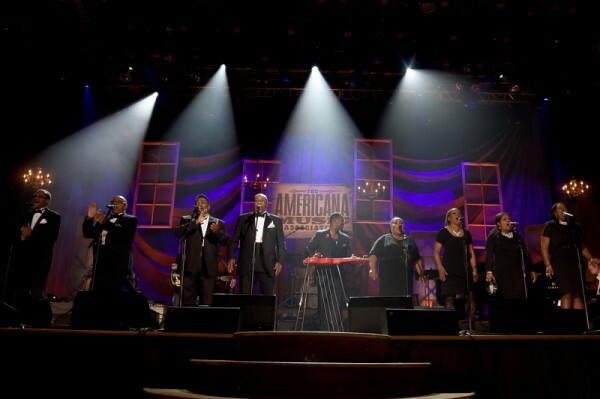 It’s a night full of the brightest stars celebrating the roots of American music. This is one night of performances you won’t want to miss! Be sure to check here for details on this special show and here for local listings and times. Also be sure to check out our Facebook, Twitter, and Tumblr pages for all things Austin City Limits and updates about tapings. Join us next week for an encore episode featuring Mumford & Sons and Flogging Molly! We think this festival is a cool thing, so we’re proud to partner with the AMA and Nashville’s longstanding public television station WNPT for ACL Presents: Americana Music Festival, airing Saturday Nov. 19 on your local PBS station. ACLP:AMF (say that three times fast – or, um, at all) taped on October 13, the night of the Awards and Honors show, and features a plethora of performances from that magical evening. And who might be providing those performances, you might ask? You get everyone from ACL vets Robert Plant (recipient of Album of the Year for Band of Joy), Lucinda Williams (Lifetime Achievement Award for Songwriting) and the Avett Brothers (Duo/Group of the Year) to Justin Townes Earle (Song of the Year for “Harlem River Blues”), Candi Staton and the Civil Wars. Gregg Allman (who appeared on ACL with the Allman Brothers Band back in Season 21) celebrates his Lifetime Achievement Award for Performance by crooning the classic “Melissa,” and Emmylou Harris and Alison Krauss lead a tribute to the film soundtrack of O Brother Where Art Thou. 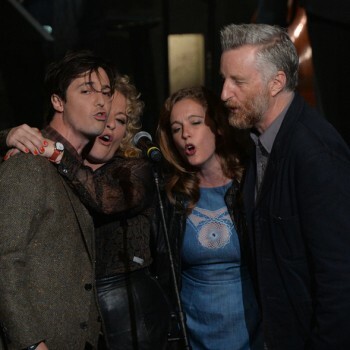 All this and Amos Lee, Elizabeth Cook, Jessica Lea Mayfield, bandleader Buddy Miller and host Jim Lauderdale as well. For more info on the embarrassment of riches that is this show, head over to the episode page for pics, clips, the set list and more. And, of course, for more scuttlebutt on all things ACL, you should visit the Facebook, Twitter and Tumblr pages and sign up for our newsletter. After ACLP: AMF, we’ll take a break from Season 37 for the holidays. But we have lots of excellent encore episodes coming your way, including a much-beloved classic from way back in Season 4. Stay tuned.